Here we are, in Week 8 of the NFL season, and with our final group of Rejected NFL Drinks. This was a surprisingly large undertaking for us, and it is something that I hope to never do again. Join us now as we take on our final division: the NFC West. Are we really starting Week 7 of the 2015 NFL season already? It seems like just a few days ago the Lions were only at two losses for the season! Well, since we are on Week 7, that means the seventh part in our series on Rejected NFL Drinks. We've been making nasty rejected drink for each team in the league and posting a division at a time. Today, we are attacking the AFC West. We are already into Week 6 of the NFL! It is also time for the sixth part of our eight part series of Rejected NFL Drinks. We've been making nasty rejected drink for each team in the league and posting a division at a time. Today, we've got our drinks for the NFC South. 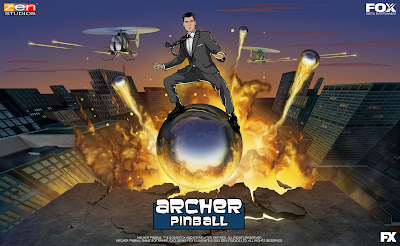 Archer has been announced as the last of four new tables in the Balls of Glory table pack from Zen Studios. 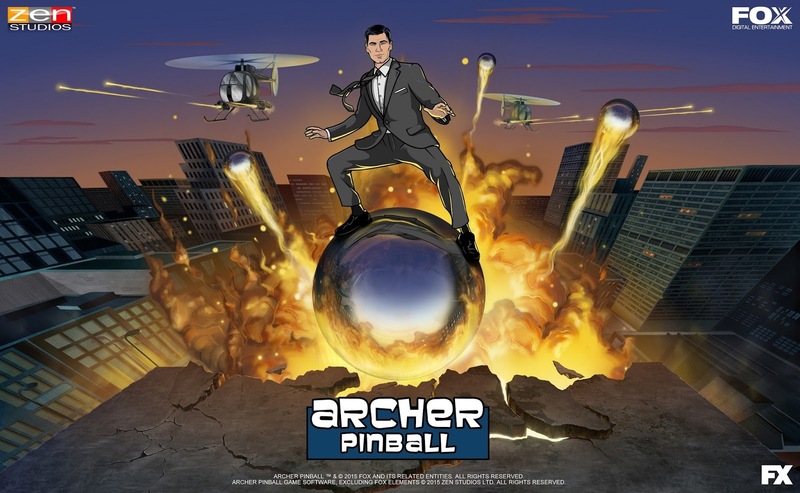 The Archer table joins the Family Guy, American Dad, and Bob's Burgers tables. With this announcement, we also have a release date for Balls of Glory: October 20. The weather is colder. Everything tastes like pumpkin spice. Leaves that were once green are now brown and starting to scatter themselves on lawns everywhere. This can mean only one thing: Halloween is near! For the last few nights, I have been watching terrible Horror movies released by RiffTrax for this year's Halloween Movie Madness. My brain is feeling a little bit melty now. 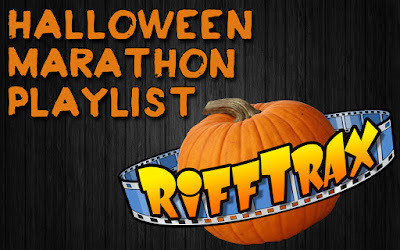 I figured, even with this brain mush I've got going on, that I would put them all into a convenient list so you can have your very own RiffTrax Halloween Marathon. Oh, and I've added in some Shorts for good measure. Week five of the NFL season starts tonight, and that means it is also time for part five of our eight part series of Rejected NFL Drinks. We've been making nasty rejected drink for each team in the league and posting a division at a time. Today, we've got our drinks for the AFC South. Today is National Kale Day, so we thought we would give you our Bottom Shelf version of the Healthy Green Drink. Process the kale through a juicer. Add in the lemon pepper, applesauce, celery soda, and vodka. Unwrap the sucker, and stir. Leave the sucker in the cup for garnish. The worst thing in this drink is still the kale. When Transformers Devastation was announced at E3, I had mixed emotions. First, naturally, was extreme excitement. Transformers, as many people who know me are aware, holds a very close place to my heart. The classic Generation 1 style visuals (and 80s style metal music) made the kid in me squeal with glee. Whenever I hear of a new series, video game, comic, heck, even the movies, I get excited. I enjoy seeing where the writers will take the franchise. The great thing about Transformers is that, with multiple Transformers universes, a new story line can be written. Shortly after the excitement came intrigue. 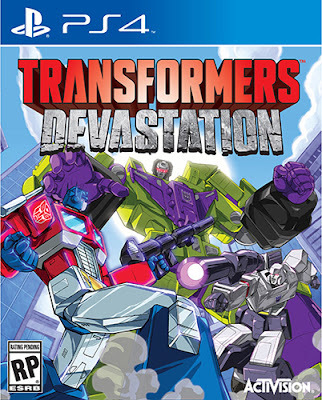 It looked like a different type of Transformers game. It didn't seem to be a shooter. Sure, there were parts in the trailer where they were shooting, but, for the most part, it was a brawler. Just smashing the crap out of Decepticons. This led to slight disappointment. I can't be a Decepticon? 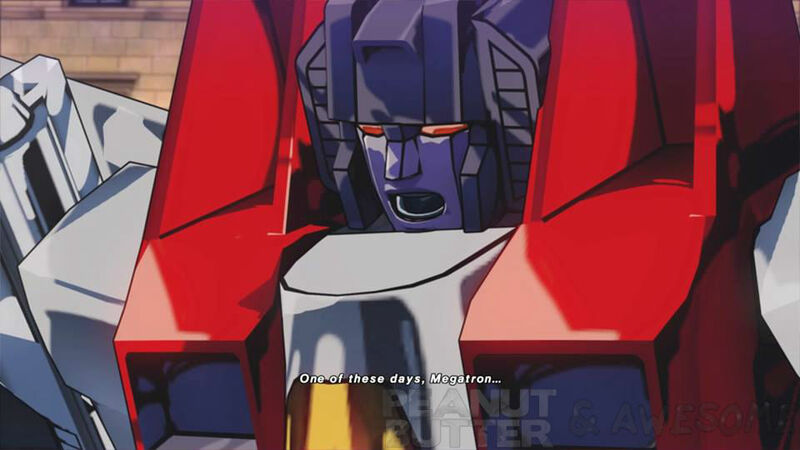 I can't be the supreme air commander Starscream? Or the highly logical Shockwave? How about the master of reconnaissance Soundwave? And especially not Lord Megatron? What is this malarkey? 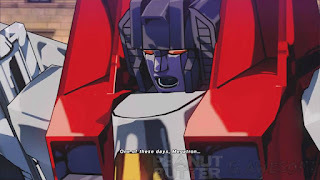 Perhaps, I thought, they will do as they did in Fall of Cybertron, and weave in and out from Autobot to Decepticon. Only time will tell. So buckle up, because we're about to roll out!